Symbols are quite extraordinary because, they both reveal and conceal the message hidden within them. To those who do not know the secret meaning of the signs they may seem interesting or strange. It does not matter if they are poorly drawn like the symbol of “the fish” for early Christians, because for those who were baptised and initiated into Christian life, it was instantly recognizable as the Christian symbol. Significantly it was understood as the symbol of the first apostles, who were mainly fishermen and their experience of Jesus the Fisher of Men. 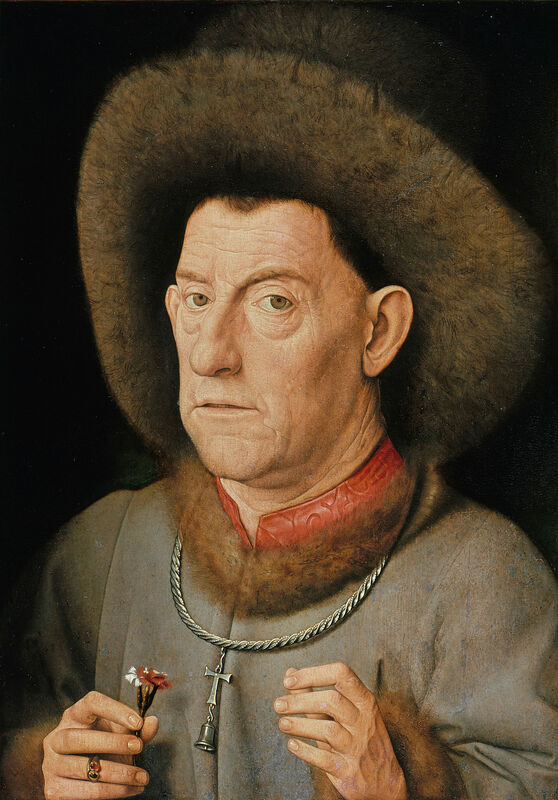 With the words, “Be champions of the Tau and of the Cross” Pope Innocent III called for nothing less than a spiritual crusade throughout Christendom – a call for interior conversion and outward signs of penance, such as caring for the poor and the afflicted. This spoke powerfully to the vision and goals of St Francis, who saw all creatures as his brothers and sisters. Hospital Brothers of St. Anthony, also known as Antonines, were a religious order founded in 1095, who staffed the leprosarium on the outskirts of Assisi. It is in this area where St Francis first encountered lepers and maybe where he first saw the Tau as a symbol of faith. Moses with the bronze serpent. 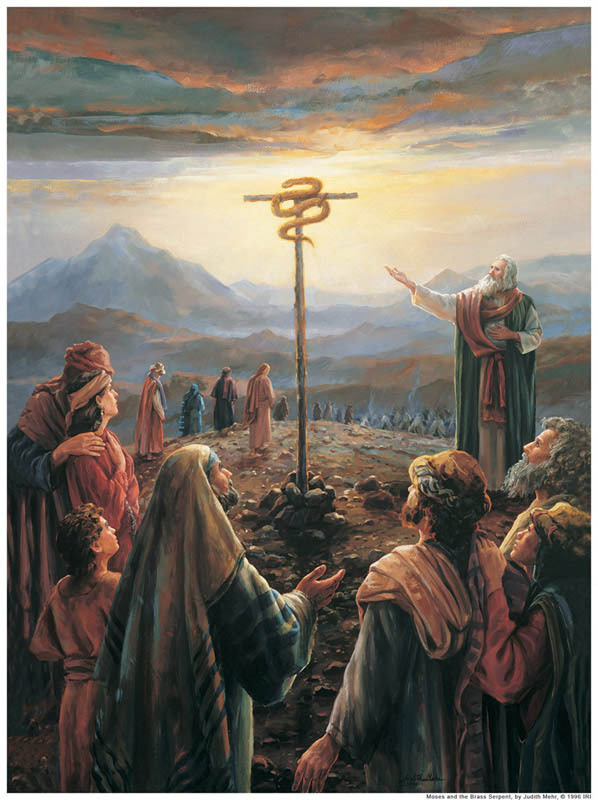 The Tau was considered by Hospital Brothers to be a symbol of healing demonstrated by Moses when he held up a Tau with a bronze serpent wrapped around it and all those who gazed upon it were healed. It is similar to the Caduceus insignia used by doctors and chemists today. 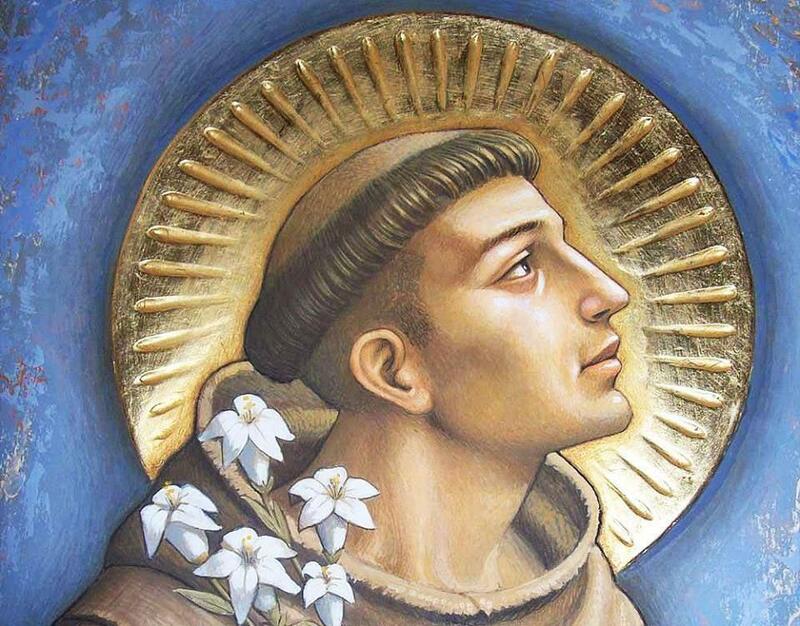 Saint Anthony of Padua was a great friend of Saint Francis. He was a wonderful preacher, who often had to battle against those who treated people badly and even the devil. St Anthony composed a special prayer, now called St Anthony’s Brief, to be said when resisting the temptation to do something wrong. Be gone you enemy powers! In 1212, some years before Pope Innocent III called the Fourth Lateran Council, the Tau was used as the emblem of the so-called “Children’s Crusade”.9 The Children’s Crusade was started by two youths one in France and one in Germany during the summer of 1212. Thousands10 of children caught up in the enthusiasm of the idea of freeing the Holy Land by love instead of by force, marched towards Italy gathering more young people along the way. If in fact this Crusade of love did take place (some historians say it did not) then Pope Innocent would have been aware of their emblem being the Tau and it may have been this also, that influenced his choice of a symbol for his call for a spiritual renewal. However, the assertion of the pope that the Tau is the shape of the cross on which our Lord was crucified comes more from the mystical tradition of the Church than its historical tradition. From Book of Hours [use of Salisbury] Possibly created in Bruges c 1455 MS 35 p90v-91r – During the Middle Ages the Cross of the Crucifixion was often depicted as a Tau shape. 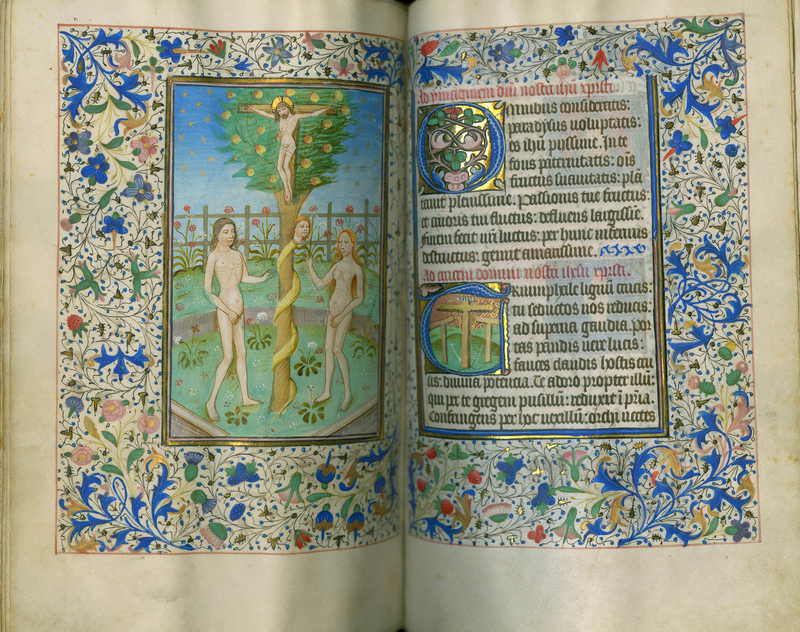 In the Book of Hours above Jesus is crucified on a Tau shape cross in Eden’s Tree of Knowledge of Good and Evil with Adam and Eve at either side, and the Serpent directly beneath him. The small inset of the three crosses at Calvary are also depicted as Taus. 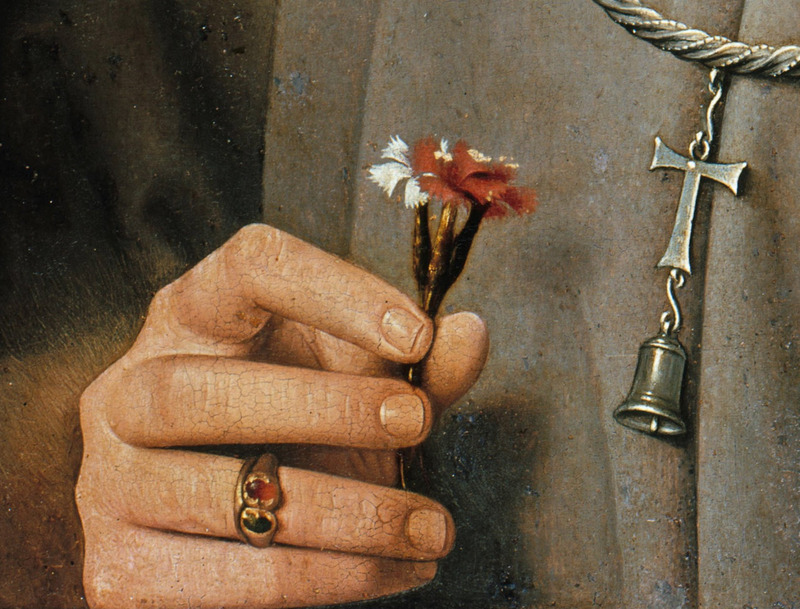 These medicinal properties of the Cross are often seen as the three theological virtues of faith, hope, and charity and the seven virtues of chastity, temperance, charity, diligence, patience, kindness and humility. They include the four cardinal virtues: temperance, prudence, fortitude, justice.11 It is important to know about and understand these virtues if we are to become truly inspiring people. The Cross,14 which was the instrument of the death of Christ, became the sign not just of his death, the end, but ironically also the sign of his power over death. The Tau Cross made red by the blood of Christ signified the end of Christ’s life on earth. It was the last word; the last syllable; the last letter. Early Christians saw a poetic harmony between the cross, on which the Word of God died, and the letters of the Alphabet which are the essence of words. 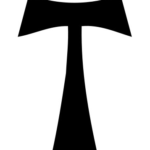 In particular they saw a resonance between the Cross of Christ; the last message and the last letter of the Hebrew Alphabet the “Tau” shown as a “T” shape. In this way the Cross of Christ took on an apocalyptical tone as the end of the Hebrew Alphabet the last word, the end of the world. The Tau took on the specific meaning from Ezekiel 9:4 as the sign of those chosen by God, a sign of those who will be saved. 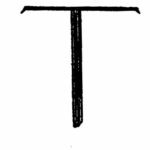 St Francis was so excited by the meaning of this symbol that he used the Tau as a signature or a sign on his letters, much like people who could not write their name used “X” to indicate their mark, or agreement. This was then verified by a notary who would write “This is the true mark of …” indicating he witnessed the act of the person making it. 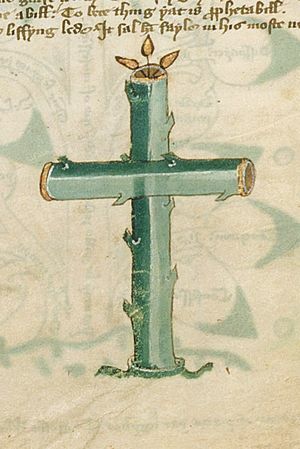 The mark, a cross, become the signature of the person’s name. 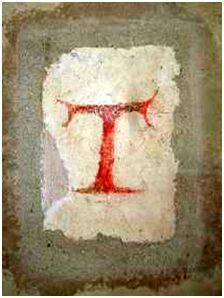 Francis was able to write and so he used the Tau as a symbol, seal, a coat of arms, a flag or standard, indicating that he saw himself as a “Champion of the Tau and of the Cross”. 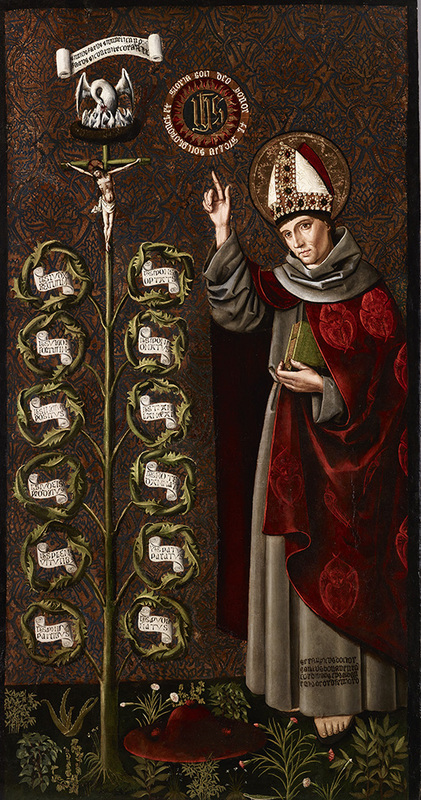 St Bonaventure said that the Franciscan Habit is nothing less than the Cross of Christ to which the friar is tied by the cord with three knots symbolising: POVERTY, CHASTITY, OBEDIENCE. 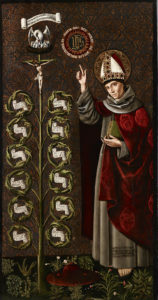 When wearing his habit, when a friar stands with his arms outstretched he becomes a Tau, a living Tau. 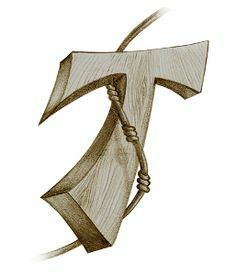 Today Franciscans both religious and secular wear the Tau Cross as a sign of their commitment to Christ and the power of his love, his message, his grace, to transform us into the very best person we can possibly become. This page is compiled as a mixture of original text, and from a variety of sources, with most thanks to the Secular Franciscan Order, Australia. 2 On ash Wednesday we mark the sign of the Cross on our foreheads. 4 Arguments about the exact shape of the cross on which Christ died have been a constant discussion seemingly forever. 5 The very word “logo” comes from the Greek “logos” meaning “Word”. The Greek bible says, “In the beginning was the Word; “Logos” the Word was with God and the Word was God.” A logo therefore, to be effective must contain “a word” a message. 7 The title “The Lion of the tribe of Judah” this royal title referred to King David and King Solomon, but is taken up by Saint Anthony as a title for Christ. 8 These words were later inscribed by Pope Sixtus V, (1520 – 1590) a Franciscan, on the obelisk he erected in the piazza in front of St Peter’s Basilica in Rome. 9 Historians have some difficulty with the facts of this crusade. It seems that the Latin word for boy may have been mixed up with the word for homeless or poor this therefore could have been a movement of refugees and dispossessed poor children who got caught up in the enthusiasm of crusade. 10 The story says up to 50 thousand young people from France and Germany with the numbers growing along the way to Italy, but this number seems unbelievable. 11 Virtues – Catechism of the Catholic Church 1803 – 1845. 13 Bonaventure’s Tree of Life is a book written to teach the friars how to meditate on the Passion of Christ. 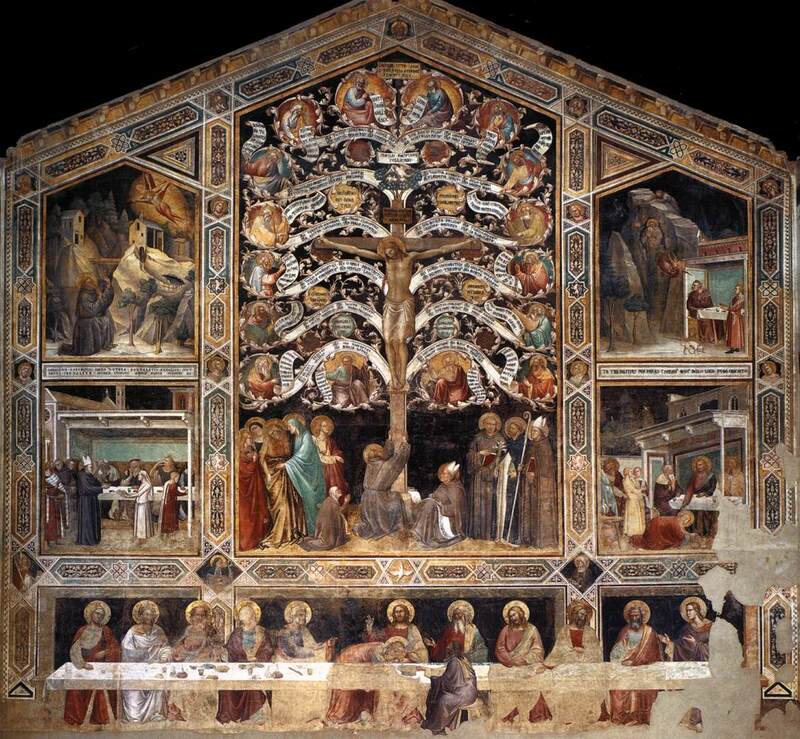 In it Bonaventure proposed we contemplate the life of Christ which he has ordered into 12 fruits for meditation. 14 A piece of the “True Cross” traditionally found by St Helen the mother of the Emperor Constantine, even if it is the smallest splinter that could enter your finger receives special veneration by the Church above all other relics and sacramentals. Secular Franciscans, therefore, should seek to encounter the living and active person of Christ in their brothers and sisters, in Sacred Scripture, in the Church, and in liturgical activity.